John P. Portelli’s latest offering by way of his fast-growing body of literary works is a new novel with shades of mystery and intrigue painted from an existential palette titled Kulħadd barra Fajża (Horizons 2018). This comes seven months since the launch of Inkontri ta’ Kul­jum: Skizzi (Horizons, 2018) and a year after Xewqat tal-Passa/Migrant Desires (Horizons, 2017), which followed Luggage/Bagage (Word and Deed, 2017), Taħt iċ-Ċirasa/Under The Cherry Tree (PEG, 2008) and Bejn Żewġ Dinjiet/In Between (Melita Books, 2003). I don’t intend to give anything away, but as it opens with epigraphs from Fanon, Arendt and Lorde, the last stating that guilt is a reaction to action or the lack thereof, I could say that there’s something exciting in store with Kulħadd Barra Fajża. This is a storyline that needs a degree of navigation. A number of characters bear an uncanny fami­liarity in terms of how Maltese readers would be likely to relate to the plot. Reading Kulħadd barra Fajża, I was immediately carried into a bent space where a number of odd presences seemed to play tricks on me. More so, I couldn’t help reading it as a migrant, through my own experience of living in foreign cities which I only knew as an adult. I couldn’t help seeing myself and others whom I know being transported in places I can only imagine - having never really visited Toronto though being quite familiar with the names of streets and places I associate with Canadian-Maltese mi­grants - some of whom are close rela­tives who either were born and even baptised there, worshipped in the Maltese church there, or lived in that neighbourhood. Portelli is not happy with setting his plot among Maltese-Canadian families in such surroundings. 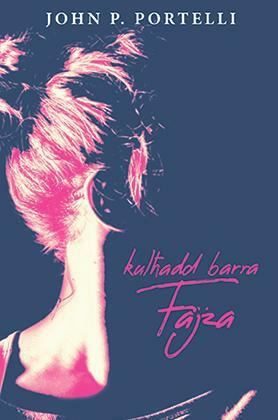 His narrative orbits around Faiza, but as the title suggests it is about everyone but Faiza. The name ‘Faiza’ does not exactly suggest a Maltese connection. It seems intended to signify something more. As the story unfolds, one cannot miss the wider Mediterranean horizon juxtaposed over the Canadian cosmopolis. Knowing Portelli’s poe­try, this is not surprising. Portelli’s is a narrative of narratives, a picture of pictures. To use a painting term, Faiza’s story be­comes a polyptych, a painting made of different panels depicting epi­sodes from the life of Christ or a saint. I’m not sure whether Portelli had this in mind, but a polyptych has a hidden pedagogical agenda. Anyone engaging with a polyptych is expected to make an effort to participate in the story. Somehow, one is expected to become a story teller, not just a member of the audience. A polyptych may well depict the same story, but it also invites its audience to personalise the stories that its panels attempt to depict. Likewise Portelli’s Kulħadd barra Fajża seems to leave mysterious gaps where the reader begins to connect each character. Reading Portelli’s Kulħadd barra Fajża took me back to when I read Naguib Mahfouz’s Midaq Alley, another story narrated from the perspectives of different characters. As in the case of Portelli’s Canadian neighbourhood in downtown To­ronto, I never visited Mahfouz’s hâra in Cairo. Yet, the connections I could make were palpable enough to surprise me by how I found myself there, walking the streets. Though these are very different novels, they gave me a similar sensation of place, which took a relative fluidity and where in my migrant Mediterranean imaginary, I found the familiar in what I have never visi­ted or actually experienced. Incidentally, I had the same feeling of presence when I read Mahfouz’s other famous novel, Children of Gebelawi (Awladu Haaretna), where a similar sense of being-placed transports the reader in the overlapping narratives of belief and place. It is this relative aspect of belief and place, played along the juxtaposition of language (as ilsien rather than lingwa) on that of being (as il-jien rather than l-essri) that urged me to excavate the layers Portelli presents in Kulħadd barra Fajża. I would round this up with yet another painting analogy. If Portelli were a painter, he would be one of those artists who painstakingly builds up an image through the translucency and transparency of the technique of iterative glazing. Like a painting of this genre, Kulħadd barra Fajża is iterative in what it does. Yet as a literary work, it also leaves many gaps in bet­ween such iterations. Here, the reader is invited to navigate back and forth between the panels of the polyptych, and where in this respect, Portelli’s literary medium serves him – and us as his readers – remarkably well.